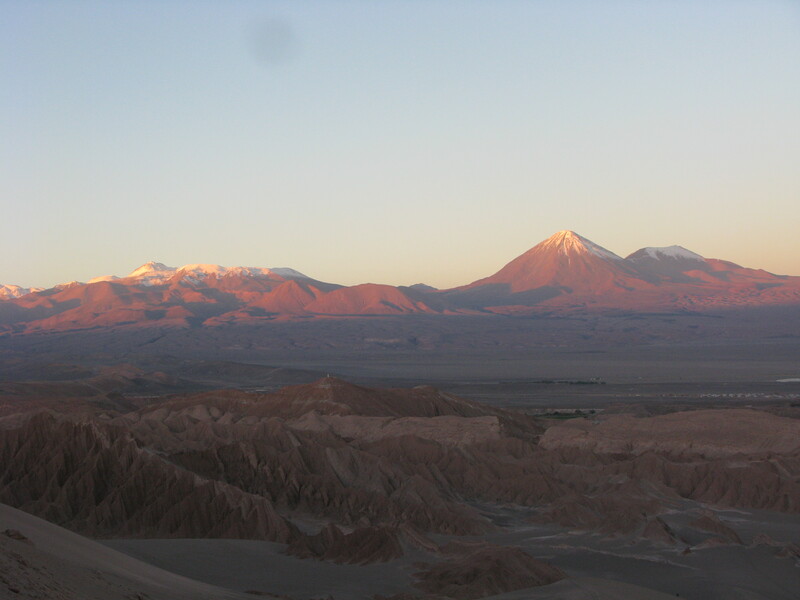 When the portion of our group headed to Northern Chile set off, we knew that the terrain in the North would be dry, but we didn’t expect to see landscapes reminiscent of an entirely different planet. 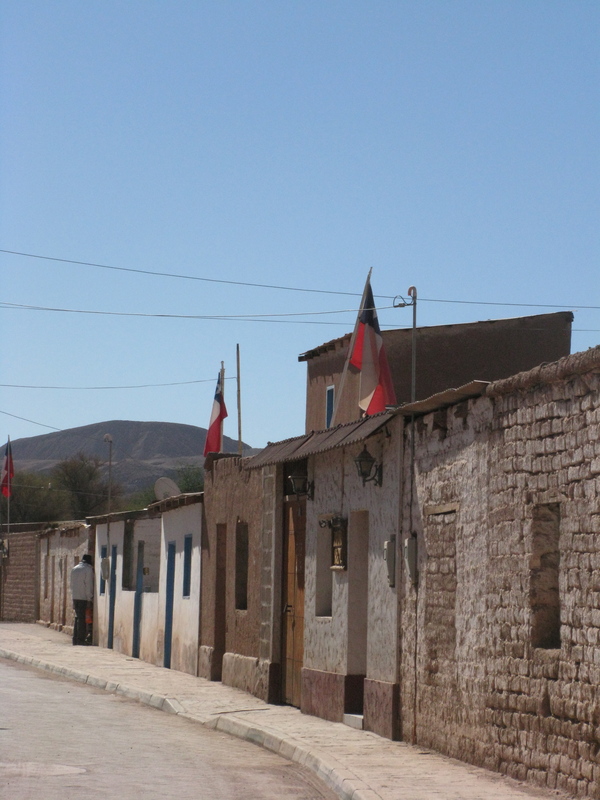 Disembarking from the plane in Antofagasta, many of us exclaimed over the surrounding desert and our sense of awe at the scenery only increased once we arrived in San Pedro de Atacama. An oasis in the midst of the world’s driest desert, San Pedro was originally inhabited by the Atacameños, an indigenous people native to the region. 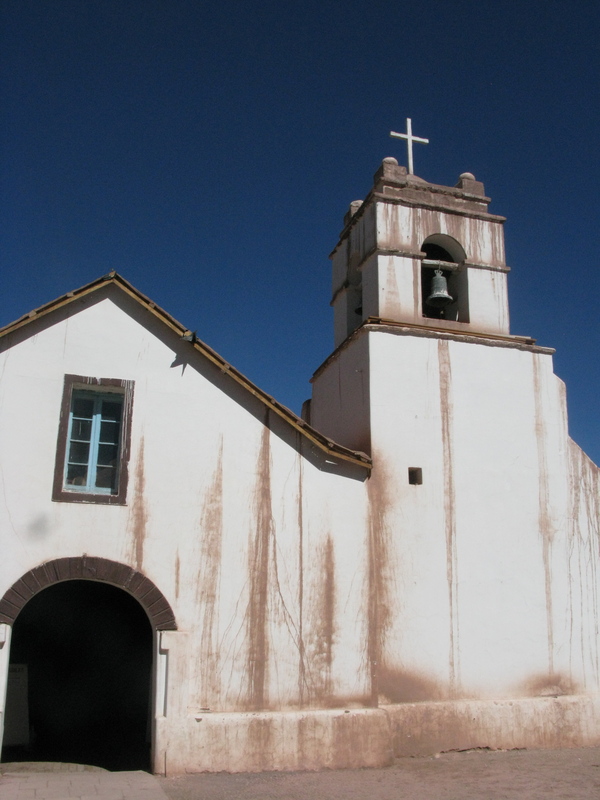 The Spanish later colonized the town and remnants of their colonial influence can still be seen in landmarks such as the Iglesia San Pedro de Atacama, a white-washed church on the edge of the town’s plaza. 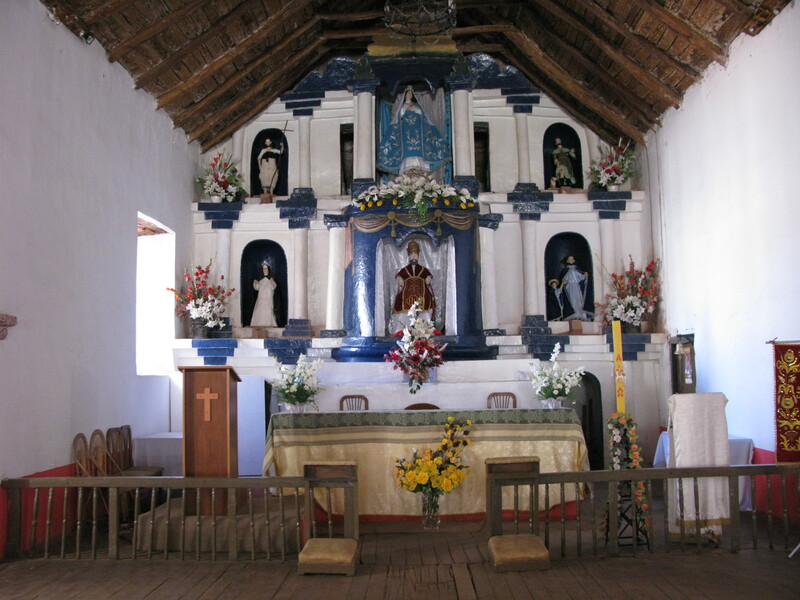 A small town, with a population of only around 5,000, San Pedro quickly won us over. Low, adobe houses line the town’s dusty streets, lending it the feel of a frontier town in the American Southwest. We aren’t the only ones to have been drawn in by the town’s charms and San Pedro has become an increasingly popular tourist destination for both domestic and international travelers. The influence of international visitors is particularly noticeable in the menus posted outside the numerous restaurants in the town center. Many menus featured “Spaghetti al Pesto” next to the Chilean “Empanadas de Pino.” Fortunately our hostel was located on the town’s outskirts, which allowed us to observe the rhythm of daily life in residential areas, as well as in the more heavily touristed town center. 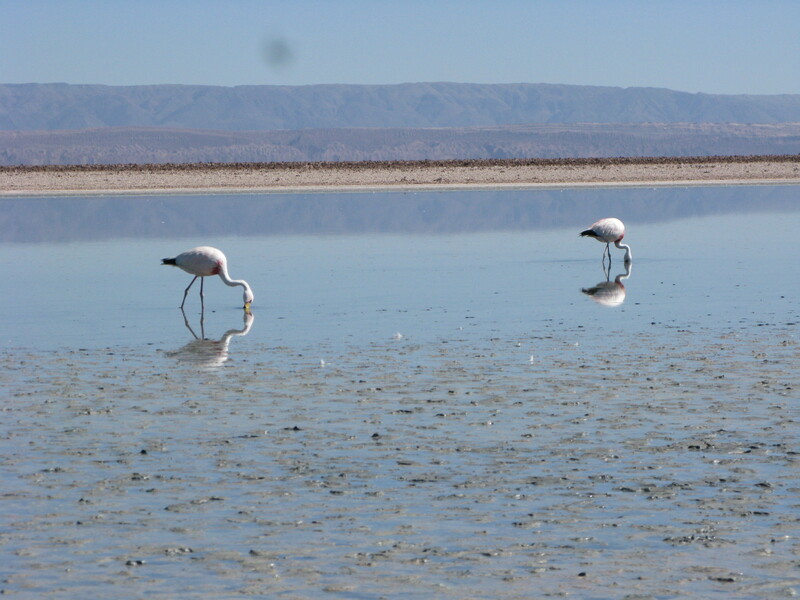 Much to the excitement of our group, the salt flats at the Salar de Atacama house not one, but two different species of flamingos (Chilean flamingos and Andean flamingos), both of which we were able to see on our visit. The two valleys feature sand dunes, salt deposits, and starkly beautiful rock formations caused by wind and water erosion. 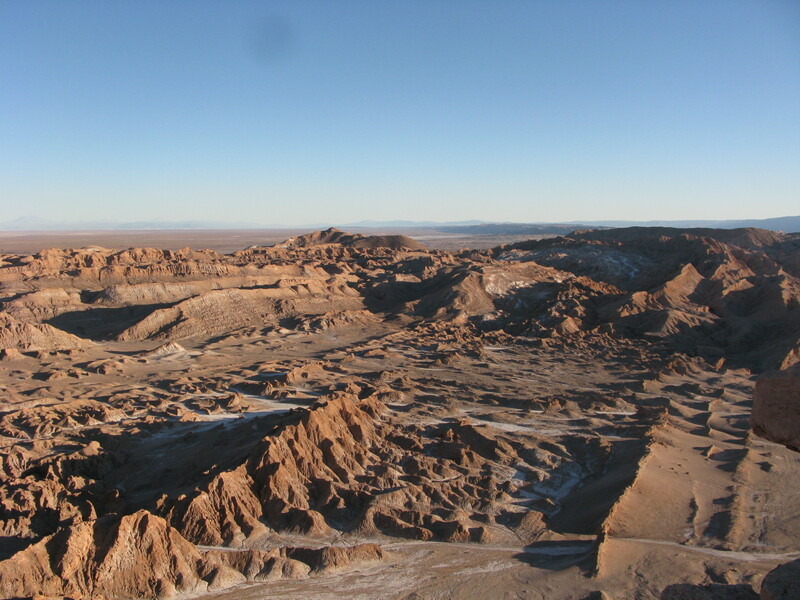 Although named the “Moon Valley,” the park also contains terrain similar to that on Mars and scientists have even tested prototypes for Mars rovers there. We were eager to scramble around the rocks ourselves, but our guide warned us to stay only on marked paths because the region reportedly still contains land mines from when Chile and Argentina nearly went to war. The park also has mines of a different sort. 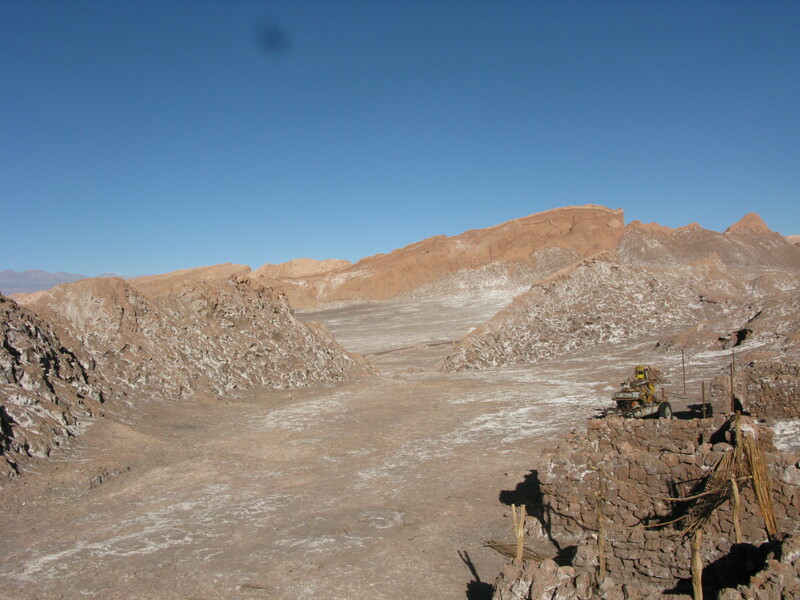 It’s hard to imagine that anyone could survive in such a harsh landscape and climate (some parts of the preserve haven’t received rain in centuries), but miners once lived and worked at a salt mine in the Valle de la Luna. The mine no longer operates, but plenty of salt remains inside. 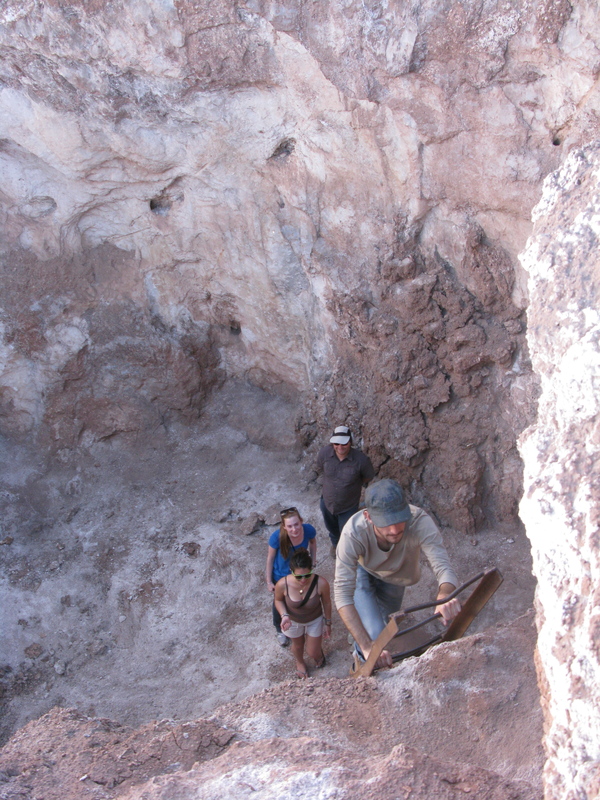 We clambered down a ladder and into the former mine, where we admired the various shapes of salt crystals and tasted some salt for ourselves. We even brought a bit of salt back to the hostel with us to season future meals. While visiting the two valleys our guide showed us true “northern hospitality,” taking us to some of the less-visited sites and even surprising us with pisco sours at sunset!